By registering for the event, you agree to adhere to the code of conduct. Any breach of this code of conduct may result in you being removed from the event. This decision is at the discretion of the DATA:Scotland (SQLGLA Ltd) team and all decisions are final. DATA:Scotland (SQLGLA Ltd) is not liable for any costs or liability incurred as a result. You may substitute a delegate at any time prior to the event starting, by amending the registration details online. Any special requirements, including changes in dietary requirements notified less than 7 days before the event will be accommodated at the venue’s discretion. 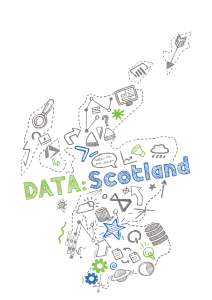 If any circumstances or events beyond DATA:Scotland’s (SQLGLA Ltd) control causes partial or full cancellation of the event, DATA:Scotland (SQLGLA Ltd) is not liable for any costs or liability incurred as a result of the cancellation. If you are unable to attend please ensure you cancel your registration. Although the event is free to attend there is a significant cost for badge printing and catering. Capacity planning is also affected with potential delegates on a waitlist being unable to attend.